Prior to the passage of data privacy legislation in the Philippines, particularly Republic Act No. 10173, otherwise known as the "Data Privacy Act of 2012", life insurance companies have already shared medical information, including yours, among themselves through an existing Medical Information Bureau (MIB) administered by the Philippine Life Insurance Association (PLIA). The sharing of medical information was done in order to enhance risk assessment and prevent fraud. In accordance with the Insurance Commission's Circular Letter No. 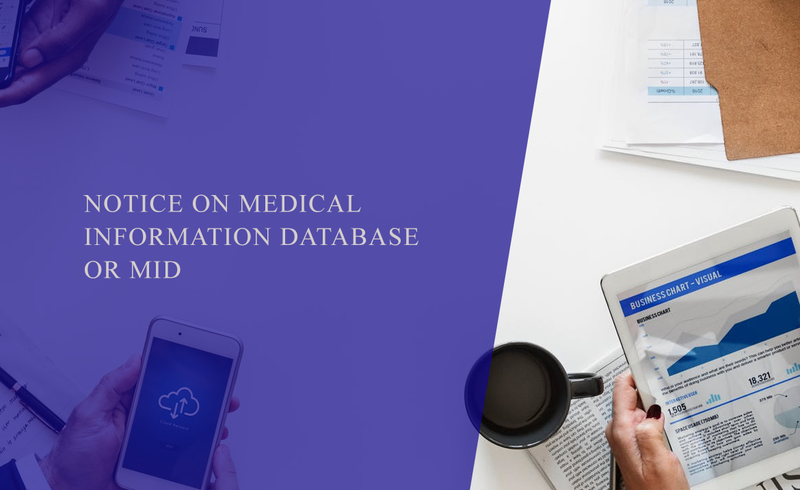 2016-54, your medical information previously collected by the MIB will be uploaded to a Medical Information Database (MID) accessible to life insurance companies. Once uploaded, all life insurance companies shall have limited access to your information in order to protect your right to privacy in accordance with law.